July 23, 2017 – While perched on a fence post at the The Nature Conservancy’s Kankakee Sands in Newton county Indiana a Grasshopper Sparrow sings out a song that resembles the sounds of its’ favorite food, the grasshopper. The little songbird has a perfect habitat at the Kankakee Sands with the open grasslands, plenty of insects and a good place for these ground nesting little migrants to have a successful breeding season. 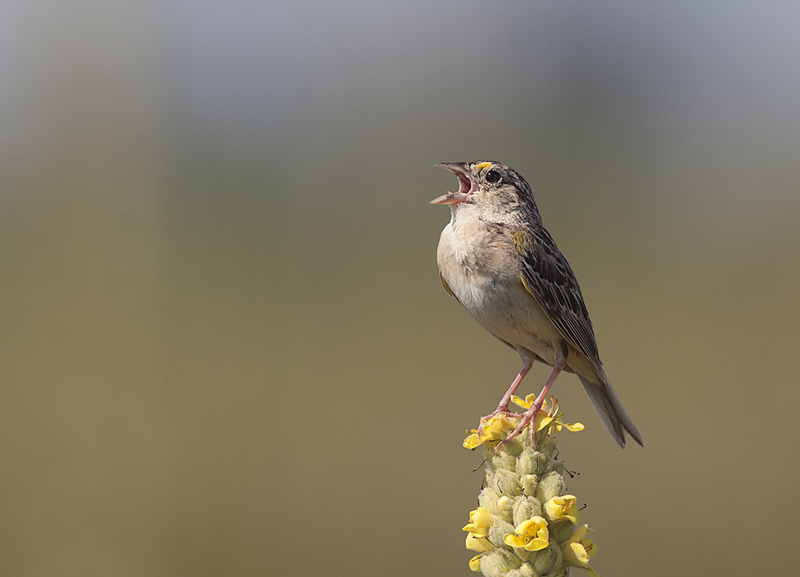 The Grasshopper Sparrow has shown a decline in recent years from habitat loss throughout its’ range with the fragmentation and degradation from intensive agriculture. 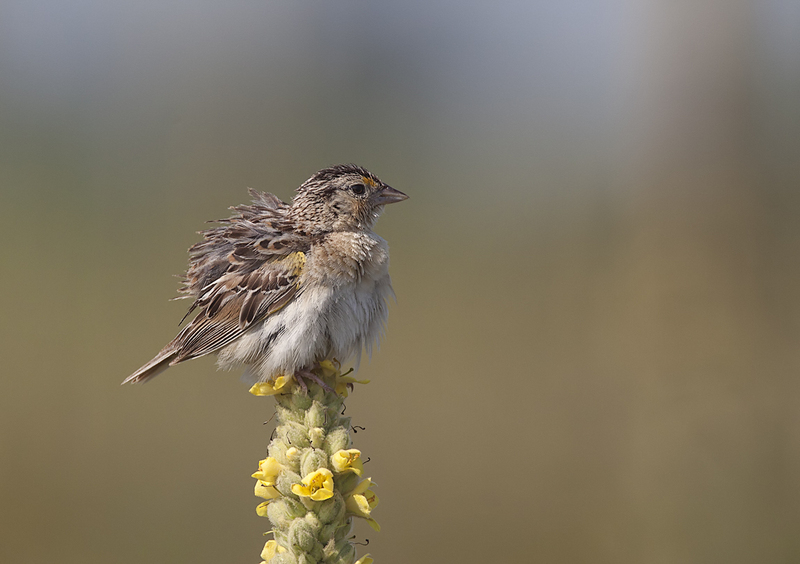 The 2014 state of the birds report has the Grasshopper Sparrow listed as a common bird in steep decline.